The SHRP 2 RID is a spatially enabled database, or geodatabase, which is designed to store, query, and manipulate geographic data, including points, lines, and polygons. The Geodatabase includes a number of classes used to store attribute and spatial data, relationships between classes, and domains of valid attribute values. 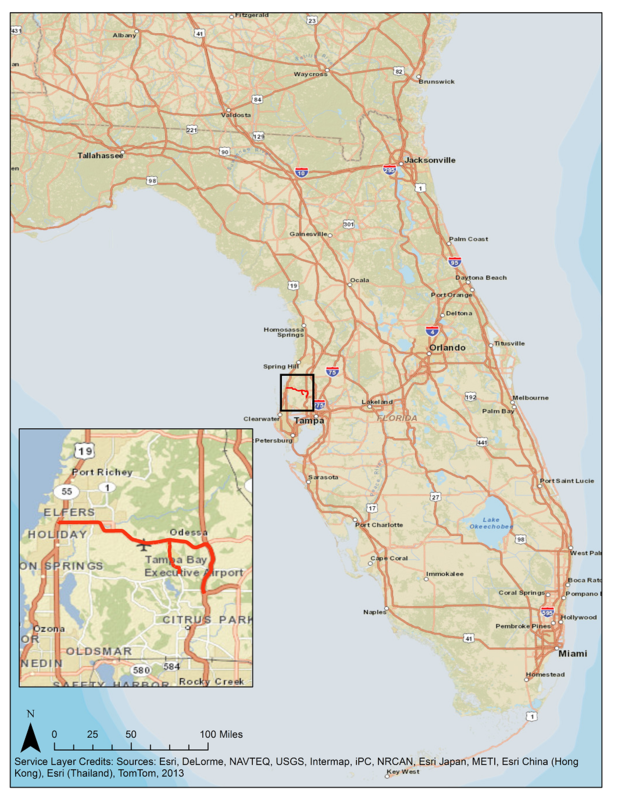 A sample of the Roadway Information Database with data from the mobile data collection project (S04B) has been provided from the Tampa, FL study site. This sample RID dataset only includes data from the mobile data collection. Once the RID is complete (by the end of 2014), state existing data, and supplemental data will be added to the sample dataset. All mobile data listed below are included for ~20 miles of roadway in Florida. Also included with this sample geodatabase is a metadata file containing descriptions of all data included. Intersection: location, number of approaches, and control (uncontrolled, all-way stop, two-way stop, yield, signalized, roundabout). Ramp termini were considered intersections. Download the SO4B Sample Geodatabse and Metadata file for the Tampa, FL study site.